Award-winning journalist Tyche Hendricks has explored the U.S.-Mexico borderlands by car and by foot, on horseback, and in the back of a pickup truck. She has shared meals with border residents, listened to their stories, and visited their homes, churches, hospitals, farms, and jails. In this dazzling portrait of one of the least understood and most debated regions in the country, Hendricks introduces us to the ordinary Americans and Mexicans who live there—cowboys and Indians, factory workers and physicians, naturalists and nuns. 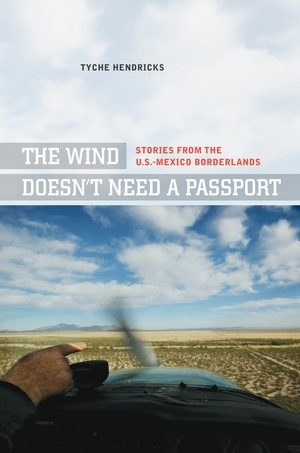 A new picture of the borderlands emerges, and we find that this region is not the dividing line so often imagined by Americans, but is a common ground alive with the energy of cultural exchange and international commerce, burdened with too-rapid growth and binational conflict, and underlain with a deep sense of history. Tyche Hendricks covered immigration and demographics for many years at the San Francisco Chronicle. She is an editor at KQED public radio and a lecturer at the Graduate School of Journalism at the University of California at Berkeley.